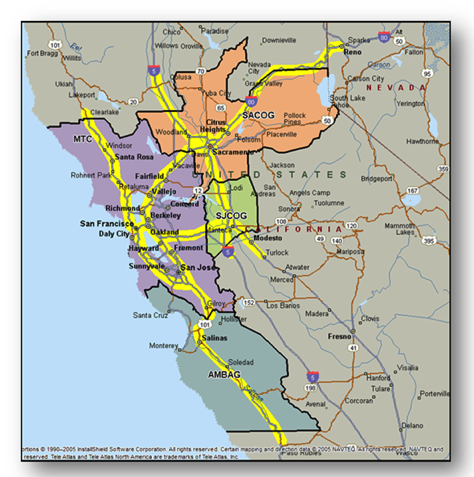 MTC is leading the first ever comprehensive study of the Northern California goods movement system, which serves 19 counties and 147 cities, employs over 1.7 million workers, and contributes over $10 billion to the mega-region’s economic output. For this study the mega-region includes the economically and geographically linked regions of the San Francisco Bay Area, Sacramento, the Northern San Joaquin Valley, and the Monterey Bay Area. The study will develop recommendations to grow and expand the goods movement sector over a two-year period that ends in June 2018. These recommendations will be based on extensive technical analysis of the “cluster” of industries that forms the goods movement sector, as well as broad engagement of multiple stakeholders including, employers and business groups, local and regional economic development agencies, community organizations, workforce training entities, elected leaders and other partners. 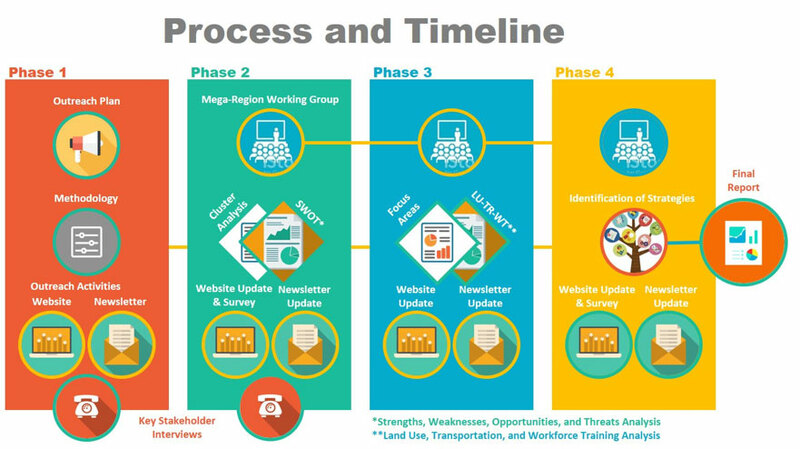 The Northern California Freight Collaborative will oversee the development of the Study in coordination with the respective boards for MTC and its partner agencies to ensure a broad-based participation of stakeholders who will effectively reflect the diverse needs of the Mega-Region. Freight movement supports a strong economy and delivers the products needed by both residents and businesses. It also has a significant environmental and public health impact on nearby communities.